My wife’s comment was: “So you’ve to learn kayaking”. So, if you know how to learn and train kayaking please let me know. Any support is welcome. 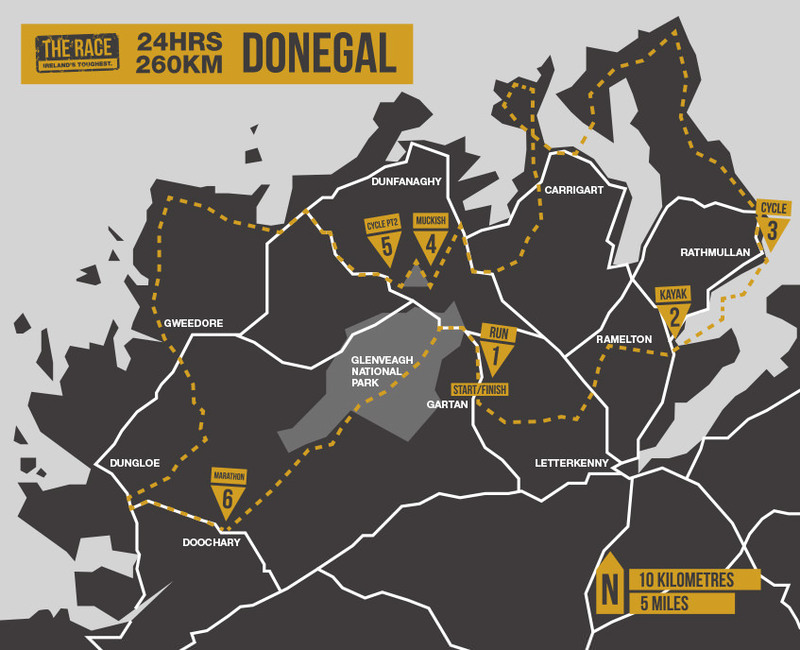 Donegal has been chosen to host ‘The Race’ – the 260km 24-hour trek dubbed as Ireland’s ultimate and pioneering single-day endurance test. 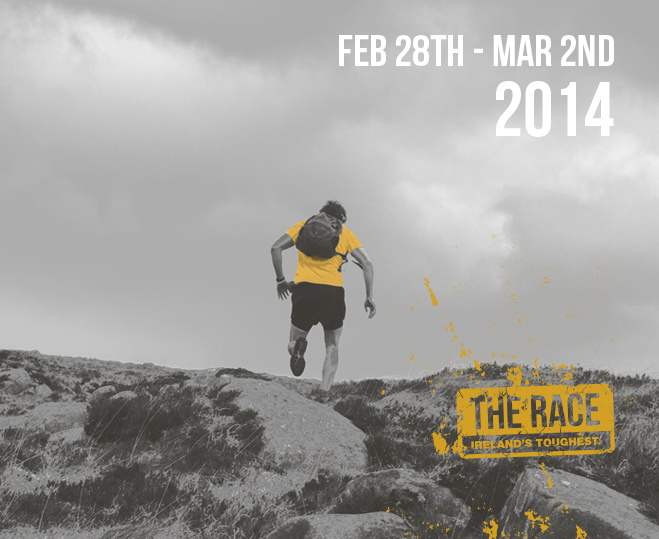 The Race will start at 5:30am on March 1 and has been billed as the toughest endurance event Ireland has ever hosted. Competitors will run 22km from Gartan Adventure Centre to Lough Swilly, kayak 15km Ramelton to Rathmullan, cycle 100km onto Muckish Mountain, then run, walk or scramble the 5km 500-metre vertical metres up and down, cycle 75km onto Glenveigh National Park before finishing with a 43km to Gartan Adventure Centre – a marathon along the paths and trails of Glenveigh. 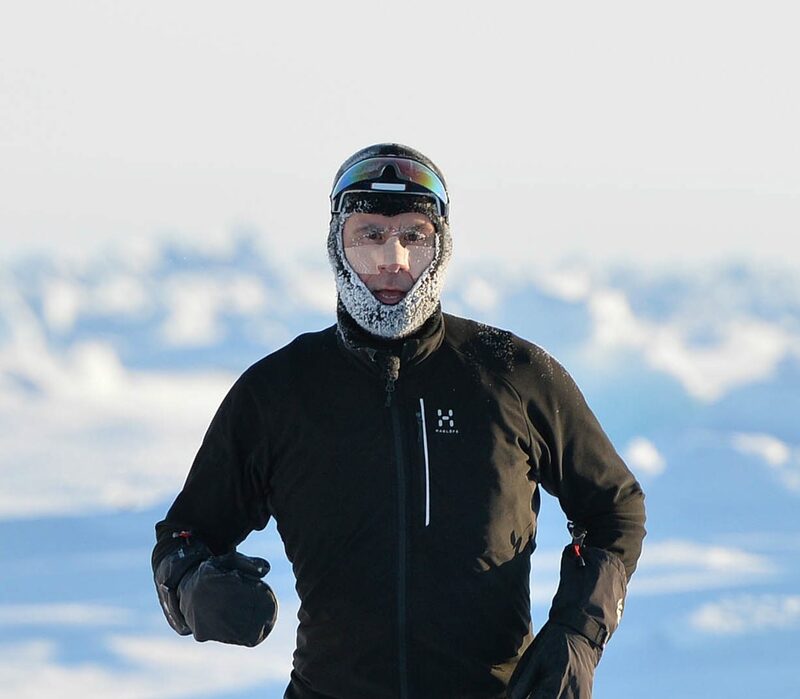 Two of Ireland’s most accomplished adventurers and ultra-athletes were tasked with finding a course. David Burns from Coleraine and Limerick native Maghnus Collins of Sand2Snow Adventures travelled the country before they opted for Donegal. “David spent a lot of time growing up on Eighter Island, between Burtonport and Arranmore, and maybe he did try and influence me in advance,” Collins joked of the selection of Donegal as a suitable place to host the event. “I had no preconceptions but was immediately taken aback. Normally you have to go out and look for beauty and even repeat parts of courses but Donegal is different. “The biggest problem we had was cutting pieces out from the route. We tried to get as much in as possible – Fanad Head, the Atlantic Drive, Glenveagh and Muckish mountain. “Basically, what we were after is as hard a course as is possible, one that could stand up with the toughest in the world. “Ireland has never had an event like this and we’ve so many competitors who travel overseas to participate in similar events. We thought if we stage one here it has to have a sense of Irishness and Donegal certainly has that. “It’s spectacular, not overrun with houses and offers stunning views and an incredibly testing course. Collins added the event in Donegal is likely to be an annual one. It will be limited to 60 participants next year. The Race is being organised as a not-for-profit venture with all proceeds going to support the work of Irish based NGO Self Help Africa.